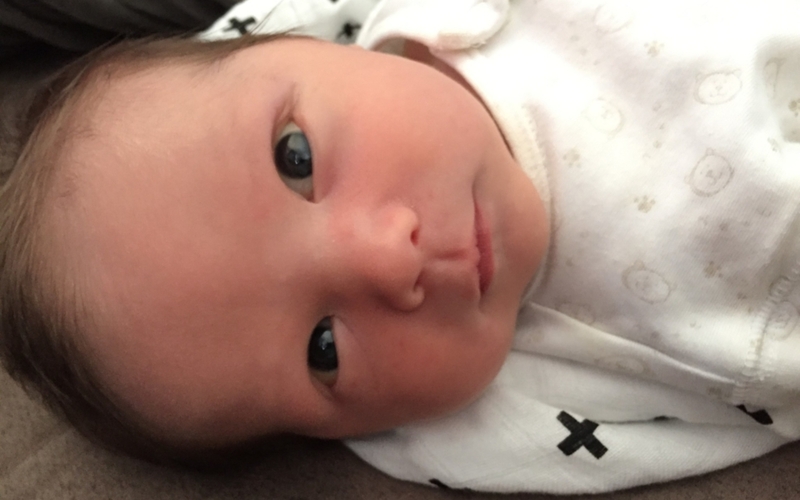 In July 2017, Jean-Sébastien Martel took his then 1-year-old son, James, into the clinic with what he thought was a pesky cold. But when the nurse on duty noticed that James was having trouble moving his right hand, she decided to investigate further and sent him to see an occupational therapist. 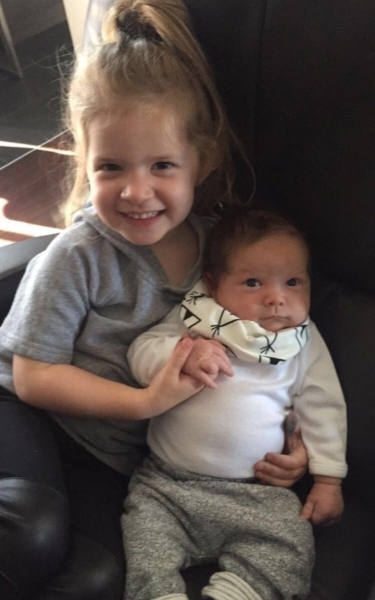 After consulting a number of specialists and being on a waiting list for several months, the family was given an appointment at Sainte-Justine. 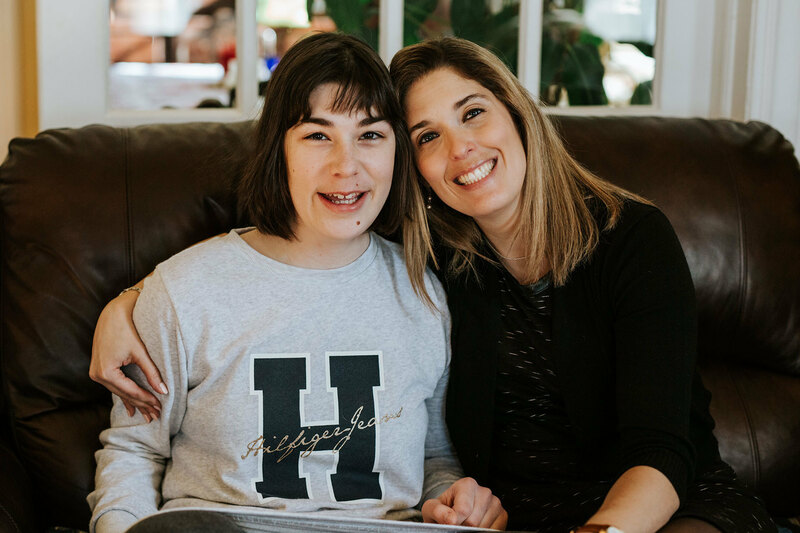 The diagnosis was confirmed: James had a form of cerebral palsy known as hemiparesis. For the first time in his life, Jean-Sébastien felt totally powerless. Up until that moment, he had never even heard of the condition afflicting his son. Hemiparesis is one of the most frequent complications of a pediatric stroke. It affects approximately one child in a thousand. In James’s case, the result was paralysis in part of the right side of his body. 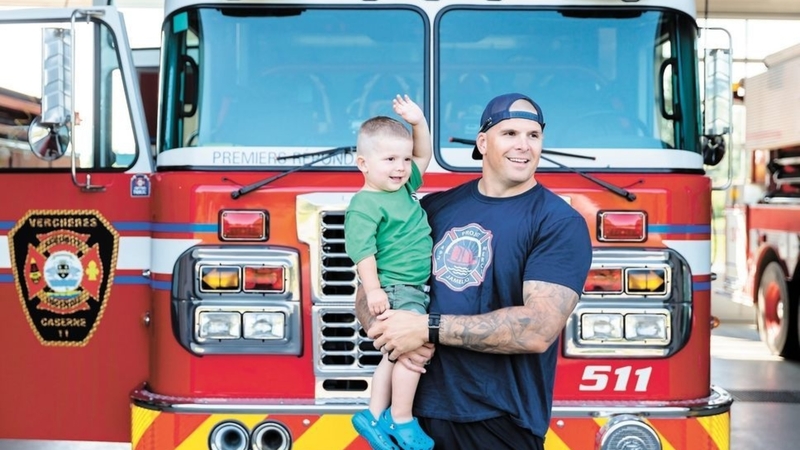 Jean-Sébastien, a firefighter by profession, was desperate to do something to help his son. 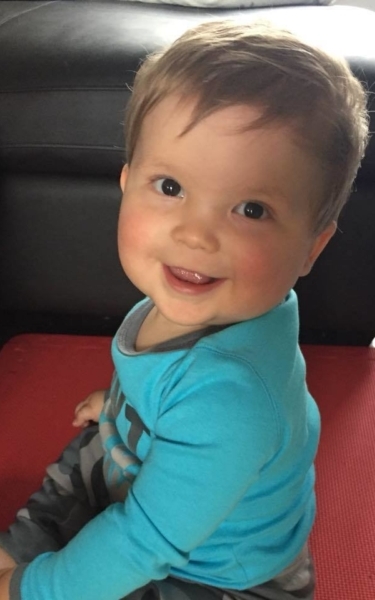 Despite his illness, James is a very smiling and playful little boy. 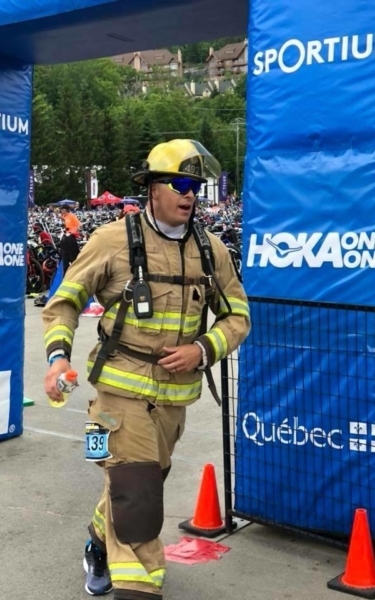 One night, while while Jean-Sébastien and his wife were getting their kids ready for bed, they happened across a video of Martin Perrier, a fellow firefighter, who was training for Ironman 70.3 in Mont-Tremblant. 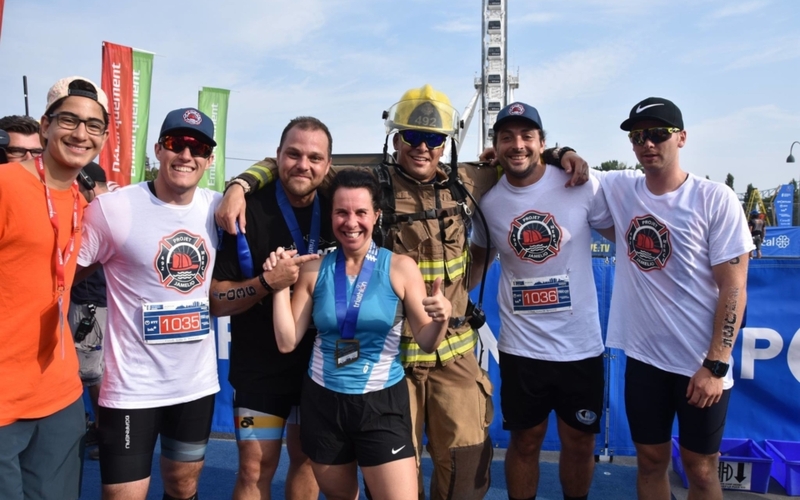 During the race, Martin was able to run alongside Rob Verhelst, a famous firefighter better known as “Fireman Rob”, who has done several races fully geared up to raise funds. The video was a huge source of inspiration for me. I finally had an idea of what I could do to help my son and other children like him. 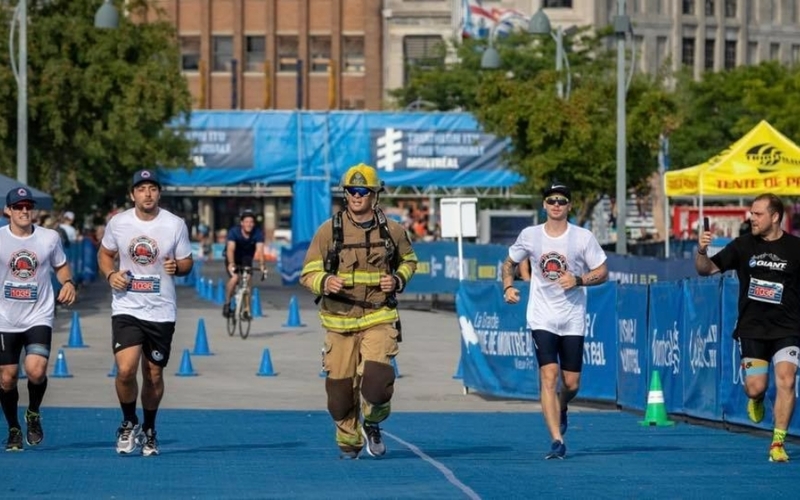 I started running in various events dressed in my full firefighting gear. At the same time, Jean-Sébastien set up the Jamélio project, a fundraiser benefiting the Fonds Mélio de la Fondation CHU Sainte-Justine, in honour of his son. 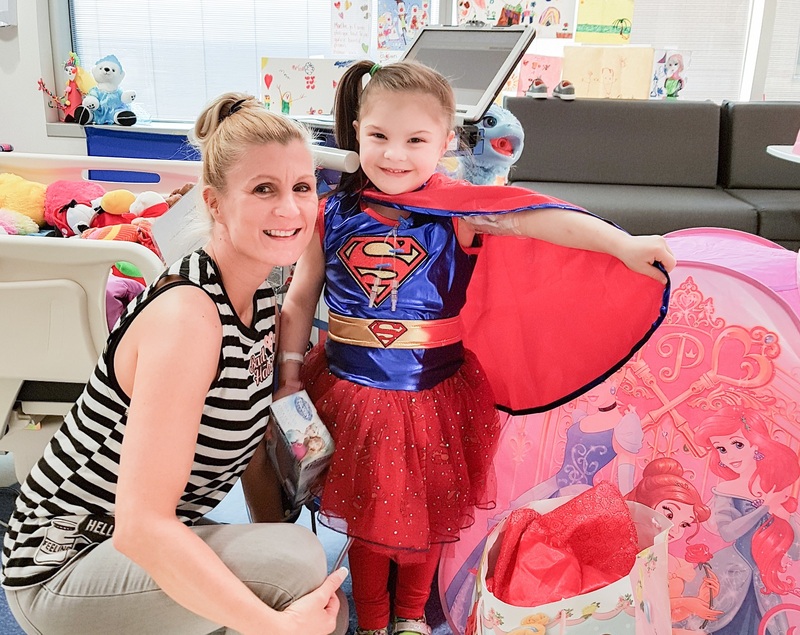 Proceeds from the Fonds Mélio go toward supporting the Marie Enfant Rehabilitation Centre (CRME). So far, Jean-Sébastien has brought in more than $5,000 for the cause by taking part in various athletic challenges. 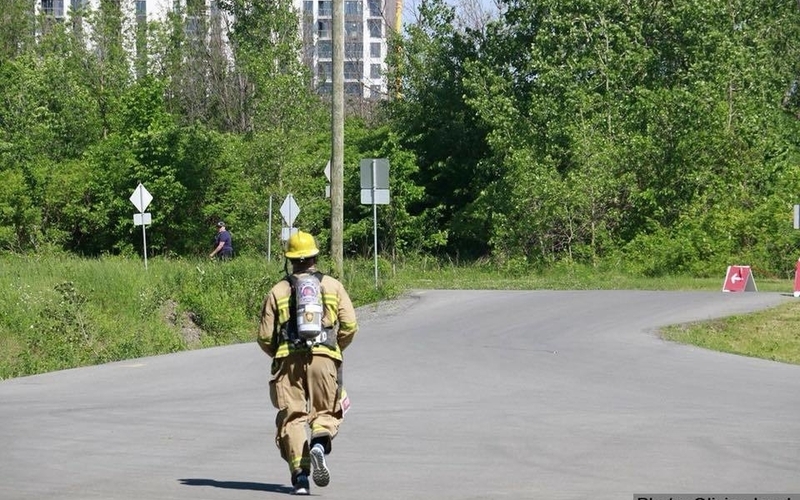 Jean-Sébastien in action at the Montreal International Triathlon and the Laval Firefighters Race. 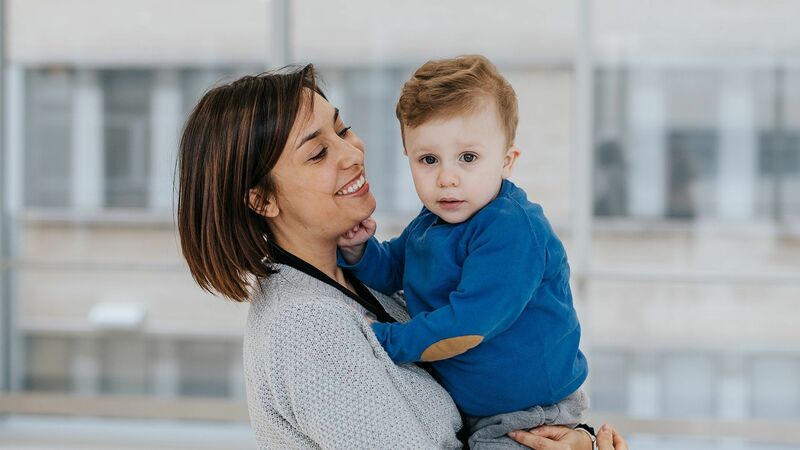 The Jamélio project is an ever-growing community of friends and parents that focuses on two things: the human part of the healing equation, which involves reaching out to sick children like my son, and the educational aspect, which aims to raise awareness and get the word out about the amazing work they do at the CRME. Jean-Sébastien feels very lucky these days: James is doing much better. He hasn’t experienced any cognitive impairments or language setbacks. Plus, he’s very motivated and is even starting to show signs of trying to use his right hand. 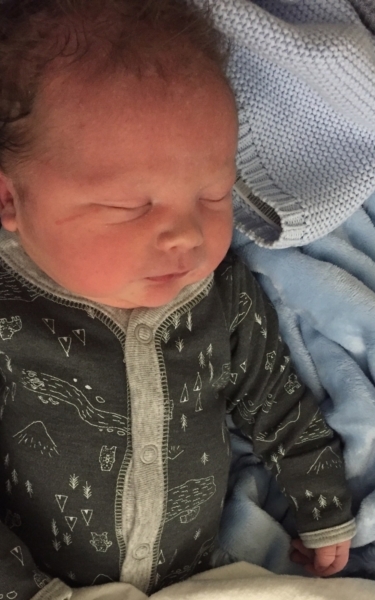 His parents are doing everything they can to stimulate his development and enjoy every moment they have together. 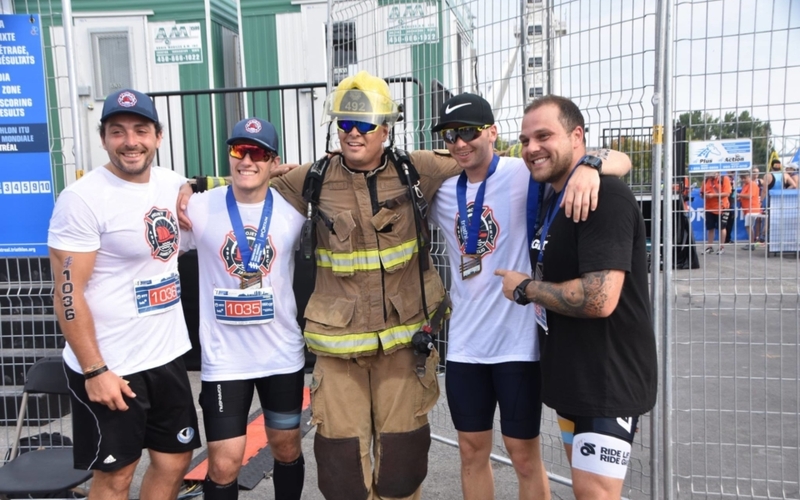 On April 27 and 28, a geared-up Jean-Sébastien and over 30 runners from his team will be at the start line of the 2019 Sainte-Justine Scotiabank Charity Challenge at Parc Jean-Drapeau to raise money for the Fonds Mélio de la Fondation CHU Sainte-Justine. This community event is a wonderful opportunity for parents, children and caregivers at Sainte-Justine to show their support for the care unit of their choice. This is the first time I’ll be running the in the Scotiabank Charity Challenge, and I hope to raise a lot of money and get as many supporters on board as I can. I’ll be running for my son as well as all the parents and children at Sainte-Justine.